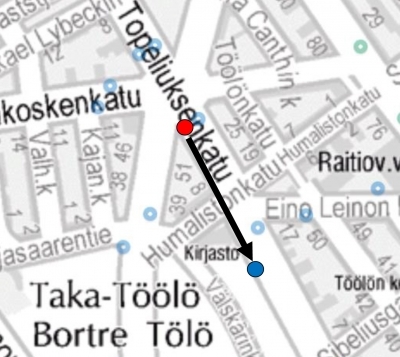 The "Linnankoskenkatu" bus stop 1316 on Topeliuksenkatu will be relocated some 300 meters from the its current location on Friday 9 September. The new location is in front of Töölö library. The relocation is due to construction and the stop will remain in the temporary location until the end of October. The stop is served by routes 14, 18, 18N, 39, 39B, 39N, 69, 194, 194A, 195 and 195N.